Zamaan Ya Sukkar is a rich musical portrait from the time when Cairo was the vibrant cultural heart of the Middle East and the grandeur of the leading orchestras was incomparable. Unearthed Latin and jazz-tinged tracks will let your mind drift off to the glamorous nightlife of '60s Cairo. Meet some forgotten souls of the Egyptian music scene and cinema world. Sensual voices and Bollywood-like orchestra sounds inflame the senses of the body with an intangible exotic twist! 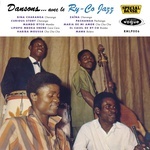 All music is remastered from original 45s produced by Sono Cairo. Features Salim El Baroudi, Sayed Salamah, Abd Al Fattah Mansi, Soad Mohamed, Al Thourathy Al Mareh, Taha Al-Ugayl, Mohamed Fawzy, and Magda Ali. Includes download. Dark Tango, mysterious twist, and psychedelic cha-cha-cha! Nothing you would expect from a '60s Egyptian soundtrack. 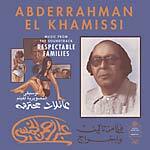 Romanticist and artistic all-rounder Abd Al-Rahman Al-Khamissi stands out with this absolute timeless musical production for his 1969 movie Respectable Families. Four abstract instrumental dances to express poetry through music. 2019 repress. 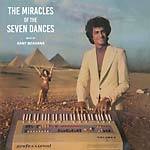 Radio Martiko present a reissue of Hany Mehanna's The Miracles Of The Seven Dances, originally released in 1973. A belly dance holy-grail from the organ king of Cairo, combining traditional rhythms with spaced-out modern sounds. Hany Mehanna, beloved musician and composer of the greatest artists from the Arab world, such as Oum Kalthoum and Abdel Halim Hafez, shows himself from a more experimental side on his solo albums. The Miracles Of The Seven Dances is a pure work of genius: hypnotic organ grooves, psychedelic guitars, mystic strings, and haunting percussion. Belly dance as good as it gets! High quality pressing. Artwork and label design by Pieter Heytens. Includes download code. 2019 repress. First issue of this previously unreleased Oriental psych monster from the organ king of Casablanca, combining traditional rhythms with spaced out modern sounds. 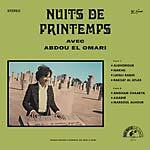 Nuits De Printemps is the third part of Abdou El Omari's Nuits-trilogy. This album contains dazzling instrumentals, spiced up here-and-there with some traditional vocals. While playing his fine melodies, Abdou switches swiftly from his Farfisa Professional mothership to an analog ARP synthesizer. This new sound and some funky wah guitar riffs give his music an extra cosmic touch. Includes download code. 2019 repress. First issue of this previously unreleased oriental psych monster from the organ king of Casablanca, combining traditional rhythms with spaced out modern sounds. Nuits D'ete Avec Naima Samin is the second part of Abdou El Omari's Nuits-trilogy. This album contains heavenly compositions for the Moroccon diva Naima Samih and some moody instrumentals in a similar vein to the previous album, Nuits D'ete (RMLP 001LP, 2016). Includes download code. 2019 repress. Radio Martiko present a reissue of Abdou El Omari's Nuits D'été, originally released in Morocco in 1976. Reissue of this ultra-rare oriental psych monster from the organ king of Casablanca, combining traditional rhythms with spaced-out modern sounds. First part of Abdou El Omari's Nuits trilogy. Includes download code.